You've read so many times here news about Alberto Cairo. Usually talking about his superpowers as infographics evangelist, teaching graphics all around the world. Well, now Alberto Cairo could be your teacher too. 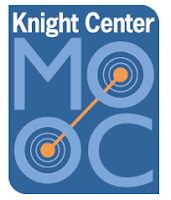 You just have to join him at the first Massive Open Online Course about infographics and data visualization at the Knight Center for Journalism in the Americas. The starting date is October 28. But notice it will be a course for newbies or people coming from other professional expertises, so you won't need previous knowledge but it might be too basic for infographics professionals.